Perk up seasonal decor with a spring bunny basket! Laura from Garden Answer demonstrates how to make this easy and adorable basket in just a few minutes using Espoma's Organic Potting Mix. 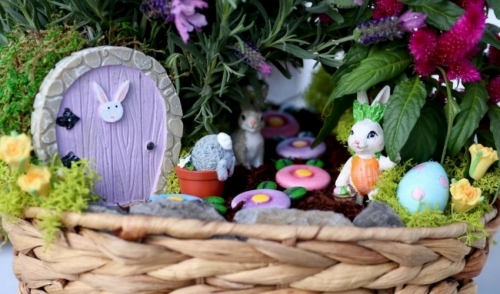 Laura from Garden Answer shows how to make a spring Easter basket! It’s the perfect decor to add to any spring festivities. In just a few minutes, you can create you own Easter rabbit garden to use as a centerpiece for your holiday dinner or decor accent.